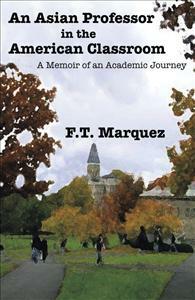 The book is a life story of an Asian immigrant from the Philippines who literally journeyed in America as a graduate student, then went on to become a teaching assistant, instructor, and finally professor. The book is a life story of an Asian immigrant from the Philippines who literally journeyed in America as a graduate student, then went on to become a teaching assistant, instructor, and finally professor. His academic journey spanned a period of close to forty years, traversing five universities where he interacted with students, colleagues, and other members of the academic community. During that length of time, he encountered and overcame cultural, language, climatic, racial, pedagogical, and economic obstacles. His story is a testament to the resilience and perseverance of the human spirit if called upon to rise to life’s challenges.